With its GVWR of 16764 lbs. and hitch weight of 2764 lbs, this RV can travel across the country without any issues! For some much-needed shade, pull out the 18' 0" awning with ease! At 41' 1" long, and 8' 0" wide, with 6 slides, there's great living space inside! No matter what the weather looks like outside, the living area stays nice and comfy, thanks to the 35000 BTU furnace and the 15000 BTU a/c! 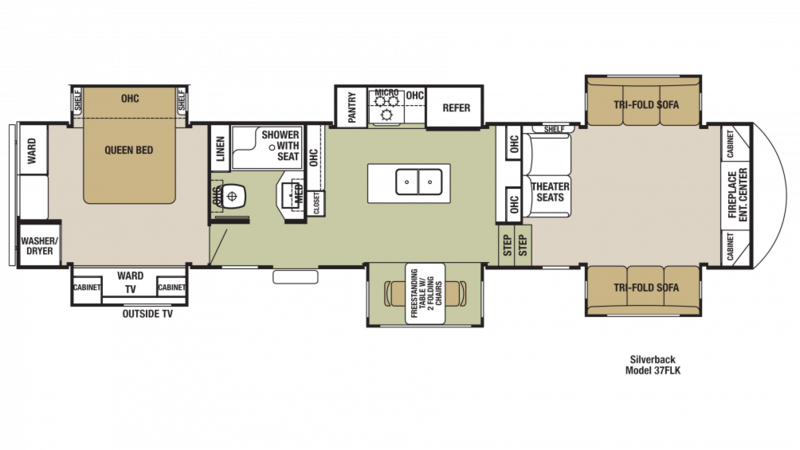 The 6 slides expand the interior of this 41' 1" long, 8' 0" wide, 13' 5" high RV! 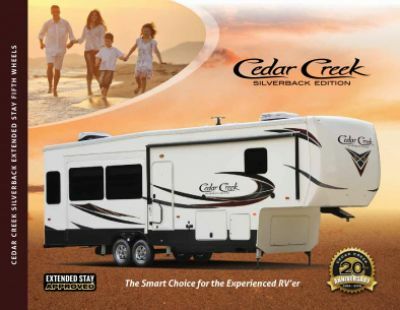 The spacious Forest River Cedar Creek Silverback 37FLK has great sleeping accommodations for up to 6 people, including a beautiful master bedroom! It's roomy, well furnished, and the comfy Queen bed means you'll enjoy a great night's sleep at the end of every fun-filled day! Great meals for your family are a breeze when you're on the road thanks to the superb kitchen in this 5th Wheel with its suite of modern cooking appliances. Included are a 3 burner range cooktop and a roomy 19.00 cu. ft. refrigerator that stores all your fresh foods and cold beverages!